Prior to his arrival at New Hampton School, Joe Williams served in several capacities at Kimball Union Academy during his 19 year tenure. Most recently he was the Assistant Head of School for External Affairs, where he oversaw the coordination between admissions, advancement and communications. As the Assistant Head of School, Joe led the day-to-day operations of the institution. He introduced grade specific leadership programs and developed a residential life and social curriculum with an emphasis on educating the whole child. 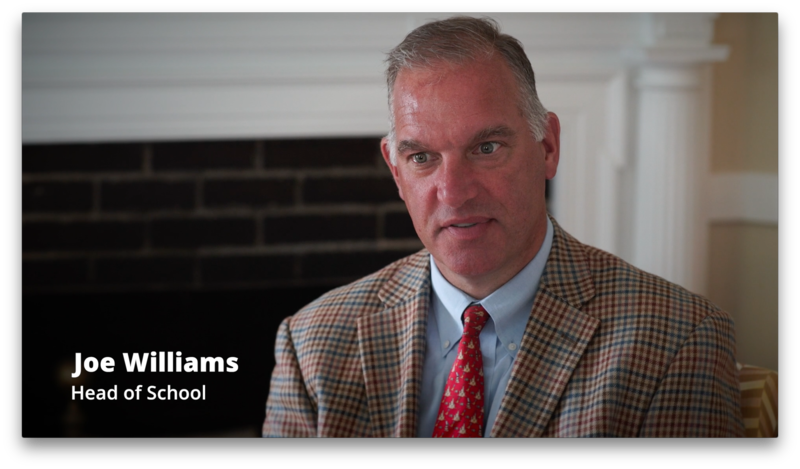 Joe also spent several years as the Director of Admission at KUA, where he focused on strategic outreach to maximize yield and match, while working with then-current parents and alumni to advance recruitment efforts. Joe grew-up as a faculty child at Lawrence Academy, where he also went to school, and then attended Bowdoin College in Brunswick, Maine. At Bowdoin, Joe met his wife Eileen. Joe worked for several years at boarding schools following his undergraduate program. He briefly shifted his focus to the business world, working for seven years with Reebok International, before he and Eileen decided to return to the unique environment of boarding schools to live, work, and raise their family. During his tenure at Kimball Union Academy, Joe received an M.Ed. in Educational Leadership from the University of Vermont. Joe, Eileen and their children, Charlie, Cooper, Tucker, and Carter live in Smith House with their two dogs, Murphy and Bentley. In his free time, Joe enjoys spending time with his family at their house in southern Maine, stand-up paddle boarding, playing golf and fly-fishing.